One of my favorite parts of traveling is meeting new people and connecting with old friends from all corners of the world. Lucky for us, we had friends in Madrid before we ever arrived in Spain’s capital city. This meant personal tours of the city vs. our normal guidebook-and-go strategy. 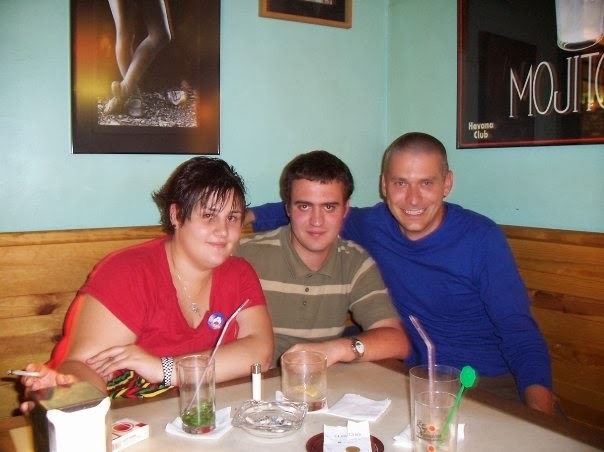 It allowed us to enjoy some bars, restaurants and areas of Madrid that we would not have found without the help of our friends. And, it gave us the chance to discover some local drinks that, though I haven’t had since, were so memorable they will forever be synonymous with our time spent in the Spanish capital. From our group of Spanish friends, our guide on our boozy exploration would be Eloisa Marco. One year earlier, Elo had been part of a Fulbright study abroad program that my wife mentored at our local university. After a day of exploring Madrid’s parks, plazas, and Estadio Santiago Bernebeu on our own, Elo introduced us to drink after drink that we couldn’t spell, could barely pronounce, and certainly had not tried before. She took us from the Malasaña neighborhood where young people (and sometimes hipsters) go to bang their heads and drink local concoctions, to Las Letras, which is near the art triangle and where you can have a Mojtio at 3 am…as long as you don’t mind the risqué after hours TV programming above the bar. 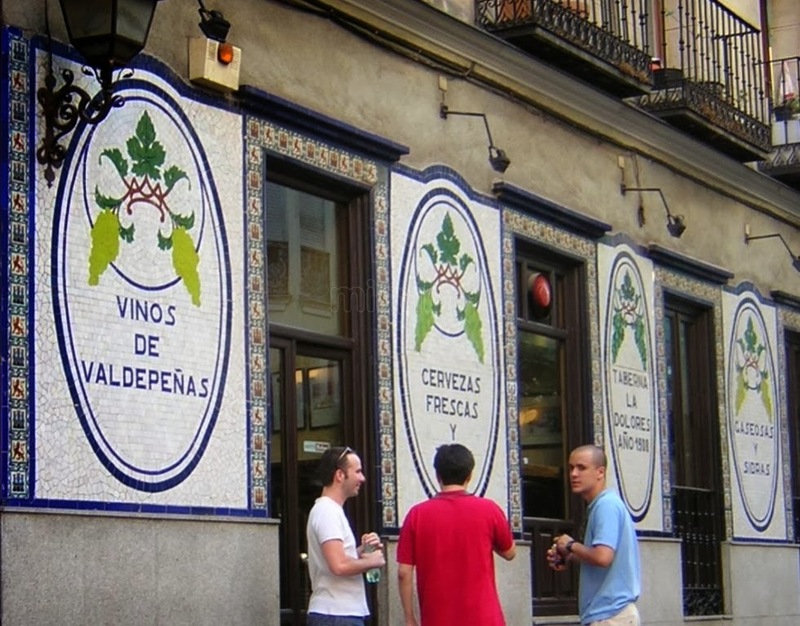 We began in the popular Malasaña neighborhood of Madrid. This area was popular and full of positive vibes. 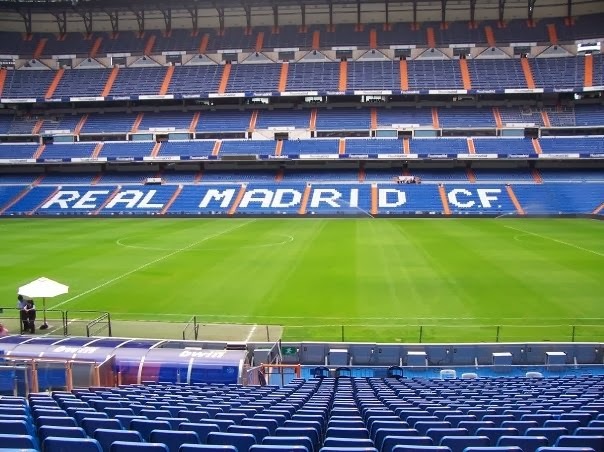 It’s near the center of Madrid bordering Grand Via on it’s furthest reaches. The streets were packed with a younger crowd eager to meet friends and share a drink and frequent a bar filled with their choice of music. As this is a very diverse neighborhood, the music being played in each establishment was diverse as well. Our first stop was El Ray Lagarto (The Lizard King) for our introduction to Kalimotxo. This red wine and Coca Cola concoction has recently made it to the shores of the US, but has been a popular drink in Madrid for many years. It sounds like a frightening combo, even ordered separately. El Ray Lagarto itself was a great bar to start at. The hard rock music, underground setting, and stand up tables lend to movement and conversation instead of that sitting down resting situation. This was perfect after touring all day because resting could have quickly set in. Kalimotxo itself gave me a couple of reactions. Number one is it’s a must do in Madrid, the when in Rome feeling. Number two is I probably won’t be mixing any up at home. The taste is not bad, but it wasn’t flavor country either. A little too much sweet, dry, and dark for my regular tastes, but drinkable and a must do in Madrid. I know when I’m there again it will be on the list. After a few glasses of Kalimotxo, it was time to move on in the Malasaña neighborhood. The history of this neighborhood is rich starting with an uprising against the French in 1808, to the 70′-80′s Movida Madrileña musical movement( pop, rock, punk movement) which still lends to the cross cultural music movement you hear on every street today. The streets were alive on that September night. The vibe was ultra positive, and very relaxed. The other thing about this neighborhood is it is very “local”. This is where the actual revelers from Madrid revel. As great as Madrid is as a whole (Retiro Park, Puerta del Sol, Grand Via…etc) this seemed more like a hangout place than a people watching place. On to a very popular bar in the Malasaña for a very popular drink. We headed to the heavy metal/thrash metal bar Diplodocus for the larger than life Leche de Brontosaurio. Not everyone can get into every kind of music. But like the rest of this neighborhood, the vibe was cool. There wasn’t any throwing of tables or sacrificing animals to Ozzy. People were there to hang out and attack this drink of all drinks. 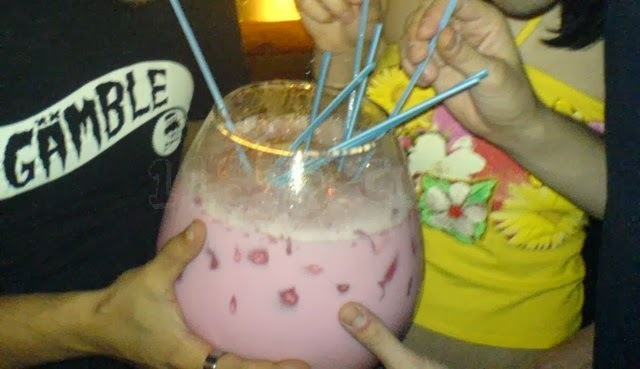 Leche de Brontosaurio comes in your general sharing fishbowl and comes packed with flavors. The ingredients are milk( a lot), vodka, cointreau, whiskey, sugar, cinnamon, and grenadine. It’s a strange pink color when you catch it in the light. General reaction, WOW, it’s over the top in size, taste, and booze. Throwing this in as our 2nd stop of the night insured that we would not be seeing the sun come up, though we did soldier on. In my opinion this is a must try and a Madrid original. Find Diplodocus when you go to Madrid and bring friends, it’s an experience. Soldiering on from Malasaña (at about 2 am) we headed to the Las Letras neighborhood for late night Mojitos and more fun. Las Letras is in the same area as the Art Triangle. This neighborhood is filled with history and again a wonderful vibe. In the streets in Las Letras you will find fragments of the most important novels in Spanish history. The streets are cobbled and the bars and cafes boom a vibe from Cuba to Costa Rica to Spain. The history of the golden age is everywhere you look, and the rich flavors of colonial and present day Spain emit around every corner. Our destination in Las Letras was El Helecho, a bar specializing in Mojitos. And from Elo’s mouth, these are the best in Madrid. The 2 am crowd was bustling and the service was great. On top of great service the Mojitos were top notch. El Helecho had the most lighting of any place we’d been in so more conversation at our table and across the tables was had. Elo’s words were spot on. These WERE the best Mojitos I’d had. Cool and refreshing with plenty of booze, a necessity to end the evening. After a few Mojitos and great fun, we had to say adios to our friends for the evening/morning. After a great evening of no Estrella Dam, barely any English spoken, and new drinks discovered we headed back to our hostel. The 4 am revelry still all around us gave me a new perspective on Madrid. I knew that Barcelona partied all night and should have figured that the folks of Madrid carried that same spirit. The Spanish capital packs a punch with museums, parks, shopping, and from my experience nightlife as well.